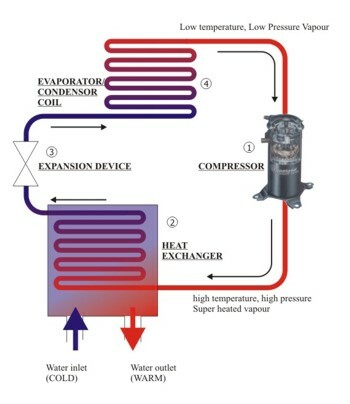 How Does The Vulcan-HP� Heat Pump Work? The Vulcan-HP� heat pump utilizes proven refrigerant technology to capture latent heat from the ambient air and transfer it to the pool water. This is accomplished by utilizing minimal amounts of electricity and Freon gas, along with a high performance fan, super-efficient compressor and your already existing pool pump. Refrigerant is used because of its ability to absorb and transfer heat energy. The fan draws large quantities of warm air through the evaporator coil that acts as a heat collector. The liquid refrigerant inside the evaporator coil absorbs the free ambient heat from the drawn-in air, changing the liquid refrigerant into gas. The refrigerant gas is then passed through the compressor. The compressor compresses the refrigerant gas to increase its pressure and temperature. This super heated gas is then pumped to the titanium heat exchanger condenser (suitable for use on salt water chlorinated swimming pools). The heat exchanger then transfers the heat from the compressed gas to the incoming pool water thus increasing the pool water temperature. The refrigerant gas condenses back into a liquid state and is pumped through the system back to the evaporator coil to repeat the cycle. 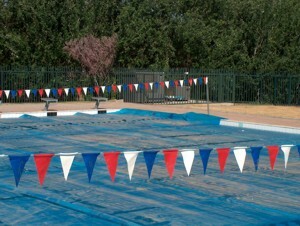 As with all swimming pool heating systems, you are advised to use a pool cover when the pool is not in use. This will keep evaporation, the greatest heat loss, to a minimum, and so reduce the overall pool heating costs and unwanted frustrations. If no cover is used it is essential that the heat pump be oversized accordingly. 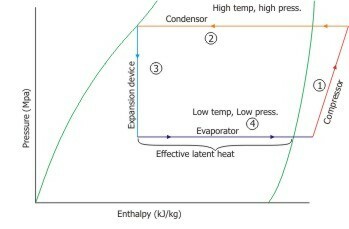 The efficiency of the heat pump is measured by the coefficient of performance (C.O.P.) 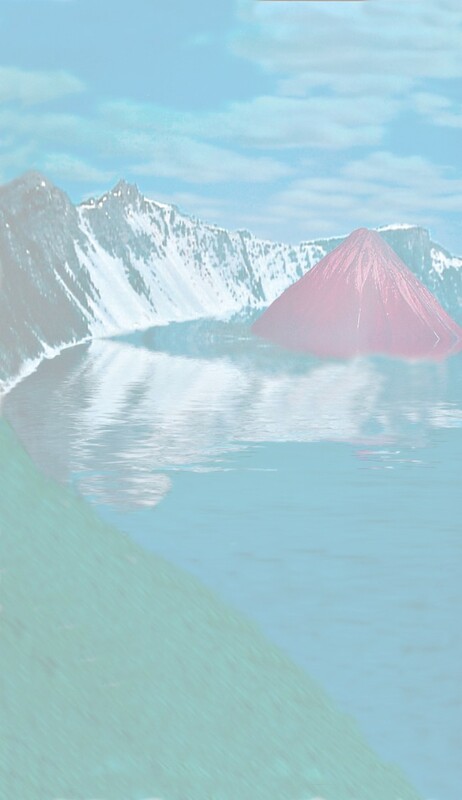 - i.e. the ratio of energy input to energy output. This is dependant on the ambient air temperature and the temperature of the water of the swimming pool. For every unit of electricity Vulcan-HP� uses, it produces 4 to 6 units of heat, extracted from the ambient air. Characteristics of pool use are of prime importance in sizing the water heater. Sizing should be based on four considerations. Except in the aboveground pools and in rare cases where cold groundwater flows past the pool walls, conduction losses are small and can be ignored. Because convection losses depend on temperature differentials and wind speed, these losses can be greatly reduces by the installation of windbreaks such as hedges, solid fences or buildings. Radiation losses occur when then pool surface is subjected to temperature differentials; these frequently occur on clear, cool nights. During the daytime, however, an unshaded pool will receive a large amount of radiation energy. These losses and gains may offset each other. An easy method of controlling nighttime radiation losses is to use a floating pool cover, this also reduces evaporative losses. Evaporative losses constitute the greatest loss from the pool - 50 - 60% in most cases. If it is possible to cut evaporative losses drastically, the heating requirement of the pool may be cut by as much as 50%. The floating pool cover can accomplish this reduction.